I just took a live snapshot of master, model,msdb and distmdl. Eh, not to big a deal as is, but still. I don't need to go thru whole backup and restore to create a standby. Just move the these files and start the other server. 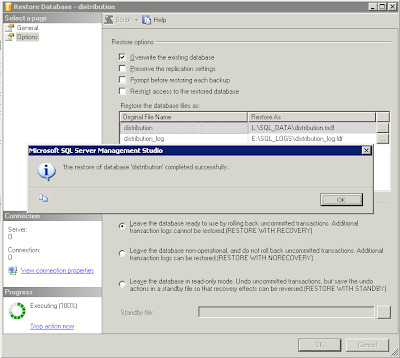 presto, and of course move/backup/restore all your other DBs. Backup started at 2010-02-27 01:09:24, completed at 2010-02-27 01:11:21. Restoring the master is such a pain. 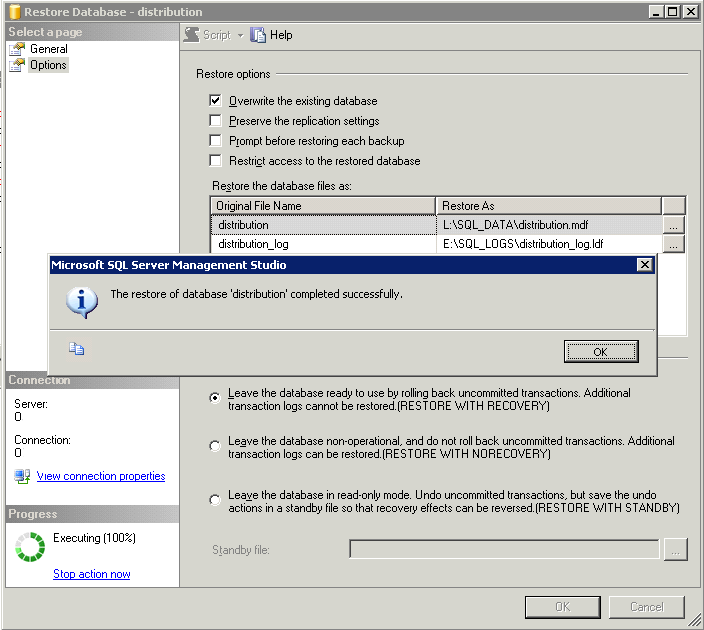 Cannot drop the database 'distribution' because it is being used for replication.